By issue #191 in May 2009, with estimated sales of 19,803 copies, Spawn had dropped below Top 100 titles sold monthly to comic shops as reported by Diamond Comic Distributors. As of August 2010 Spawn no longer was ranked in the top 300 sales figures chart reported by Diamond Comic Distributors. On the day of its release in 2011, issue #200 sold out. This issue featured work by Greg Capullo, David Finch, Michael Golden, Jim Lee, Rob Liefeld, Marc Silvestri, Danny Miki, and Ashley Wood. A second printing was released the next month. Despite its remarkable sales, it received a negative review from IGN. Trees is a science fiction comic book series by Warren Ellis and Jason Howard, published by Image Comics. The first issue was published May 28, 2014. The narrative begins ten years after the arrival of massive and silent alien presences who stand on the surface of the earth like the “Trees” of the title, not moving and seeming to take no account of human life and society. While a high concept science fiction story, the series also concerns itself with a cross-section of social and cultural issues as experienced by the characters, including policestates, feminism, economic disparity, and transgender identity. Spawn enjoyed considerable popularity upon its initial release in the 1990s. Comic book collecting was enjoying a marked upswing at the time, fueled by the speculator boom looking for the next hot book that would jump in value after its release. 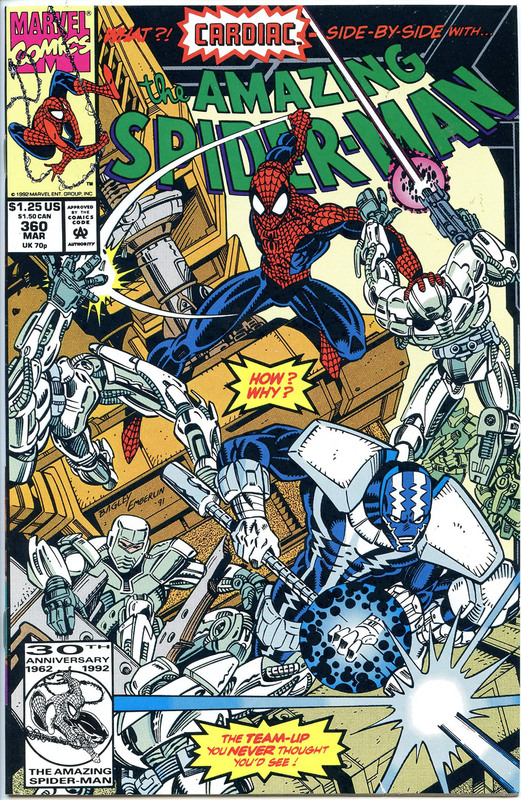 McFarlane had enjoyed superstar status among comic fans with his work on Spider-Man, which had featured McFarlane’s name prominently as both writer and artist. McFarlane’s subsequent break with Marvel and the formation of Image Comics was seen by many as a sea-change event, changing the very way in which comics were produced. Wizard, on May 2008, rated “The Launch of Image Comics” as No.1 in the list of events that rocked the Comic Industry from 1991 to 2008. The first issue of Spawn was very popular with sales of 1.7 million copies. During Spawn’s second year of publication, Wizard noted that “The top dog at Image is undoubtedly Todd McFarlane’s Spawn, which, without the added marketing push of fancy covers, polybagged issues, or card inserts has become the best-selling comic on a consistent basis that is currently being published. Sales slumped around the time of Spawn #25, but by Spawn #45 it was again a consistently strong seller. Isola was first announced at the 2016 Image Expo. Writer Brendan Fletcher explained he and writer/artist Karl Kerschl had been working towards the comic since elementary school. The story follows two women, Queen Olwyn, and Rook, her captain of the guard, on a journey to the island of Isola in hopes of reversing a curse that transformed the queen into a tiger. Kerschl and Fletcher cite the films of Hayao Miyazaki as an influence on the tone of Isola. Kerschl worked closely with colorist Michele Assarasakorn (MSassyK) to create a cinematic feel, mapping out colors in advance to reflect the characters’ journey. Mark Millar & Greg Capullo join forces to create the smash hit sci-fi / fantasy story: REBORN. Where do you go when you die? Not heaven or hell; somewhere else. Somewhere you have to fight to survive. Somewhere the people from the past are waiting for you—the good and the bad. Outcast, created by writer Robert Kirkman and artist Paul Azaceta is a supernatural horror story that chronicles Kyle Barnes, a man whose loved ones have been involved in demonic possession since his childhood. With the help of a clergyman, he tries as an adult to unveil what lies behind the supernatural manifestations and why he seems to carry special peculiarities. The first issue of the monthly comic was published in 2014 by Image Comics. Before the first release, Kirkman also began to develop a television adaptation with Cinemax which began airing in June 2016. While Wanda lies close to death, Spawn returns to the eighth level of Hell for a final showdown with a weakened Malebolgia. At the height of the conflict, Angela arrives to join in the battle. After mortally wounding Malebolgia and thinking him dead, Spawn and Angela prepare to escape; however, with his last breath, Malebolgia extracts Angela’s lance and impales her with it. In a rage, Spawn decapitates Malebolgia with Angela’s sword. Carrying Angela’s lifeless body, Spawn delivers her to a host of angels who offer him forgiveness and redemption. He refuses this angelic pardon, but the angel who offers it can yet do one favor for Spawn: She appears in Wanda’ hospital room and breathes new life into Wanda. Meanwhile, Spawn finally comes to terms with his place in the world. The series focuses on a number of women who have been imprisoned at an off-planet prison known as the Auxiliary Compliance Outpost for being “non-compliant.” Narrative arcs move back and forth through time, presenting how the women were arrested in the first place as well as their various experiences within the prison.